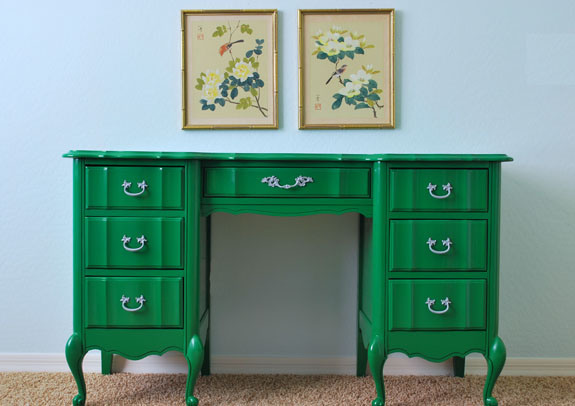 According to Pantone, the color of 2013 was emerald. And that was just fine by me. I did not call to complain. I’m sure they breathed a sigh of relief that I approved. Really, I’m not one who changes everything in my home just because a new trend is out or something is hot at the moment. But, emerald and I – we got along fabulously this year. And will continue to do so throughout 2014 and probably the better part of my life. Emerald and I are just destined for each other. I mean, it is my birthstone. 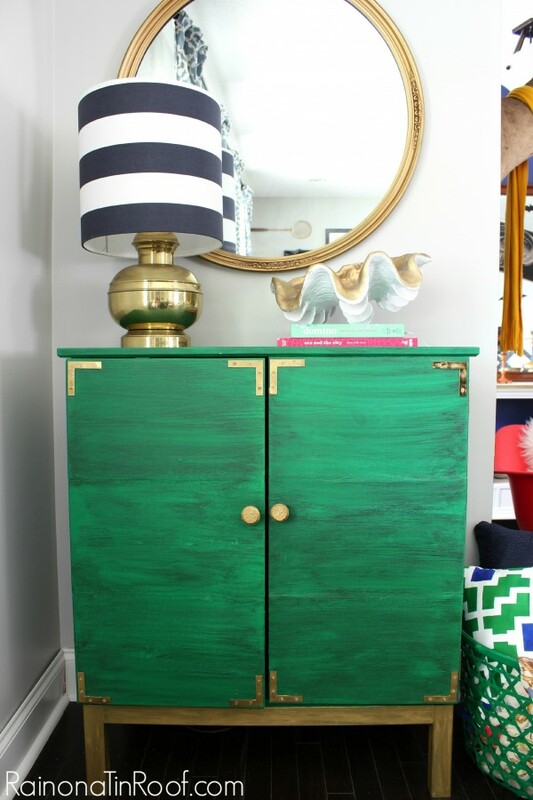 Here is a 2013 emerald re-cap including some of my own projects and some fabulous emerald green decorating ideas. 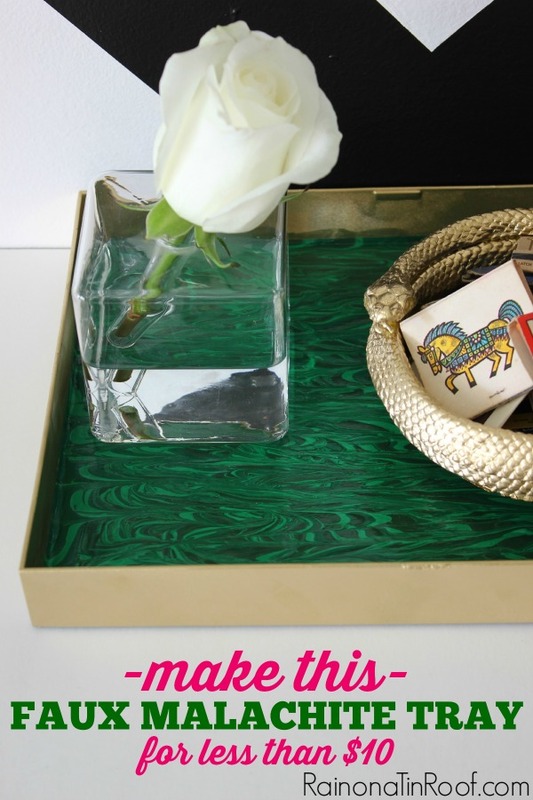 DIY Faux Malachite Tray – this was so easy to make! You can’t mess it up! 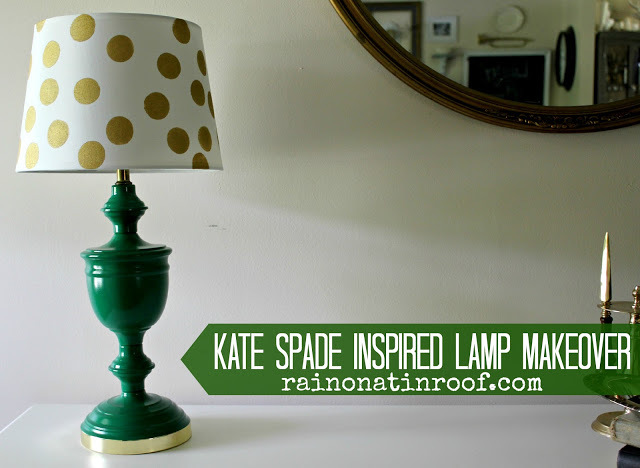 And then there was the Kate Spade lamp. This project was the one that started it all. 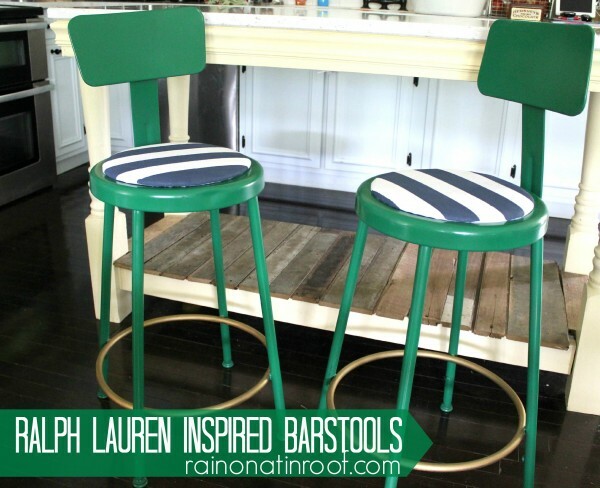 And then, there are my barstools. Oh, the barstools. I do still adore them so. I also discovered that sometimes the simple combination of white and emerald is just perfect. 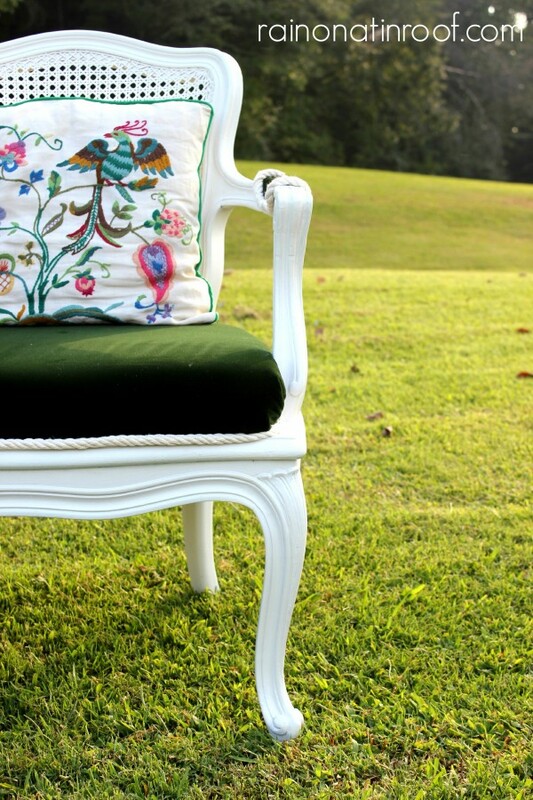 Such was the case with this French country chair makeover. 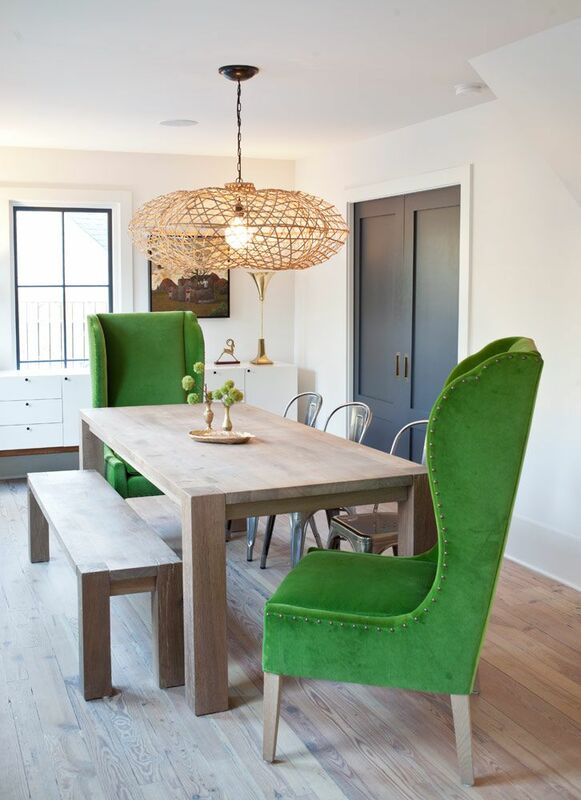 No, I really really really want these chairs from Jen Langston Interiors. Seriously, if I just had one of these in my entire house and no other seating, I would be good. Jennifer from Dimples and Tangles is a genius. 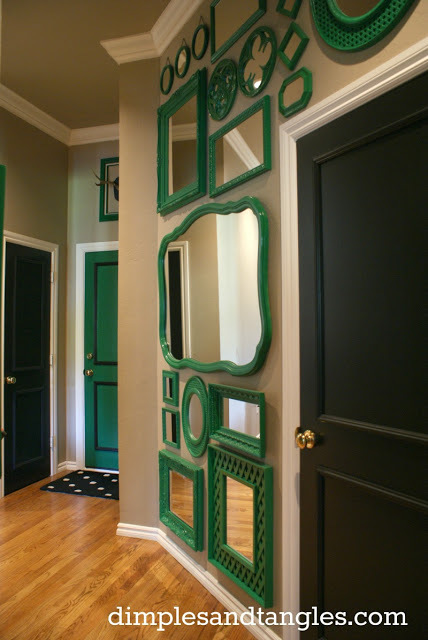 If you don’t know about her or her fabulous hall of green mirrors, you are missing out. Grunt Labor chose the paint color for the front door this summer. Why did he choose this color? Because of its name. Precious Emerald. 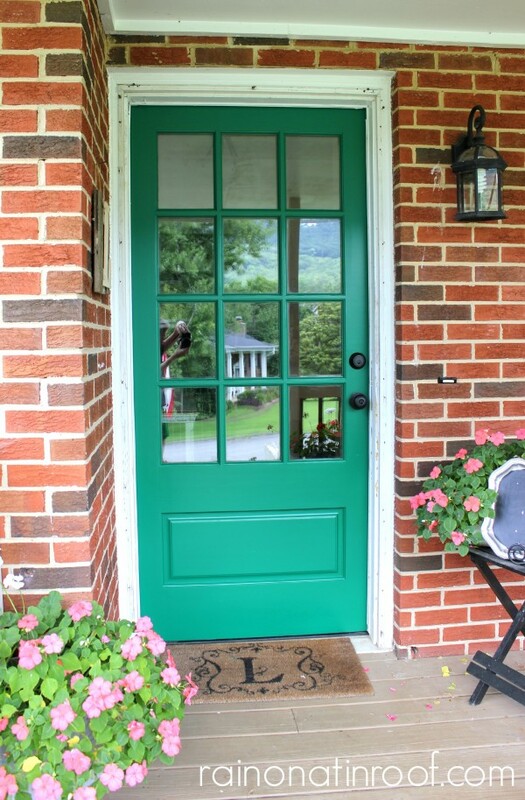 He said he wanted to be able to tell people his front door was a precious emerald. 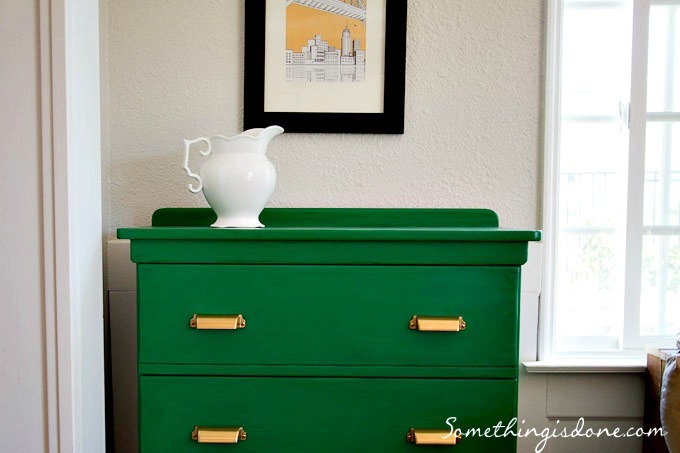 This dresser is not only emerald, but it also combines one my other favorite things: gold. A simple, yet fabulous combination from Something is Done. This entryway is simply amazing. I am usually not a fan of yellow. 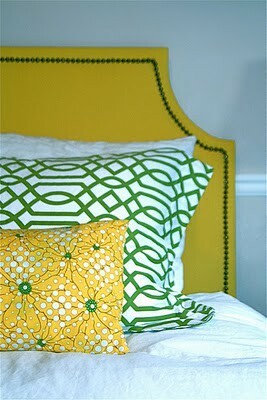 However, this combination of yellow and kelly green is beautiful from Honey. I love all campaign furniture. But, put a coat of green on it and combine with gold. BAM. Gorgeous from Centsational Girl. And since there was extra precious emerald paint left over, I used it on this restored rocking chair. I die. Those stairs. Oh. My. Word. It would be the perfect place for me to give my rendition of Scarlett. 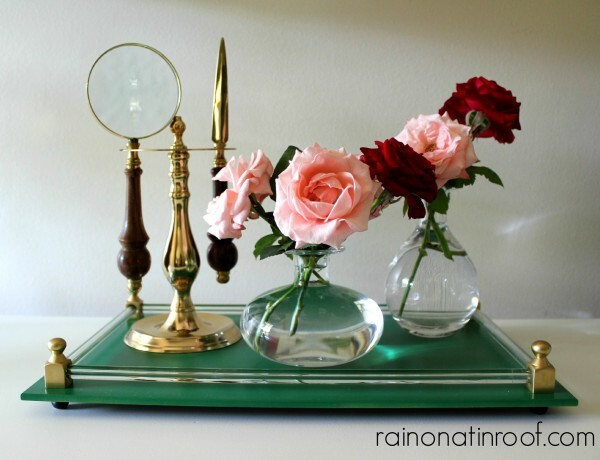 And while showing you how I transformed this Goodwill tray into an emerald gem, I told you about the rules of 1/2 off Goodwill shopping days. Or did it make you want to call the asylum on me? I honestly don’t know that I would get any work done at all sitting at this gorgeous desk from Design in Bloom. 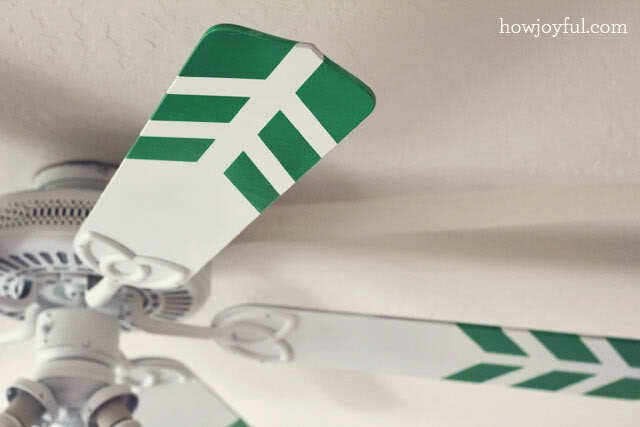 Typically, I loathe ceiling fans. However, this one is awesome. Why is it awesome? Because it has emerald painted blades. See the full tutorial from How Joyful here. And what is Pantone’s 2014 color of the year? I may have to make a call about this one. Love green (me too!) 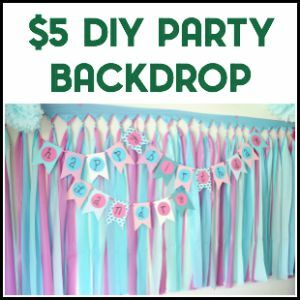 and want more green decorating ideas? 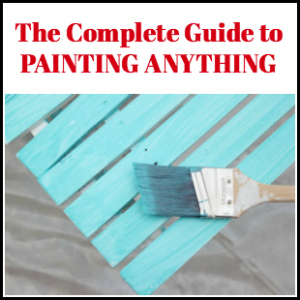 Here are my favorite green decorating moves and here are the best green color combinations when it comes to decorating! Same here, Crystal, I’m just not an orchid gal! 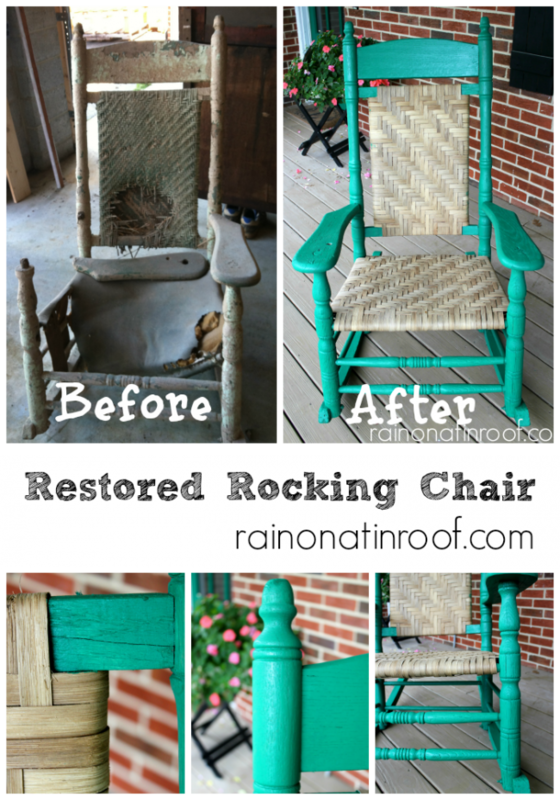 Love the rocking chair makeover and I love the story behind your front door color! That’s great! I know, right, Helen! He is crazy! Thanks! I agree with your assessment of emerald green. It’s luscious, rich looking and elegant. Feel free to add my name when you call about Radiant Orchid, though! hahaha, Sandi! I am so glad there are some people that agree with me on the radiant orchid – its pretty, just not me! I loved it all and got some ideas from all the photos. The hall with the pattern was a bit much for me but it takes me awhile to get used to things, have to live with them to adjust to them. Bet somebody else would love it on sight and those people are the smart ones, they’re with it. I liked it, just not so much of it. My favorite was the wall of emerald mirrors. I’d love to make a wall of aqua or teal mirrors. Great topic for discussion and interest. 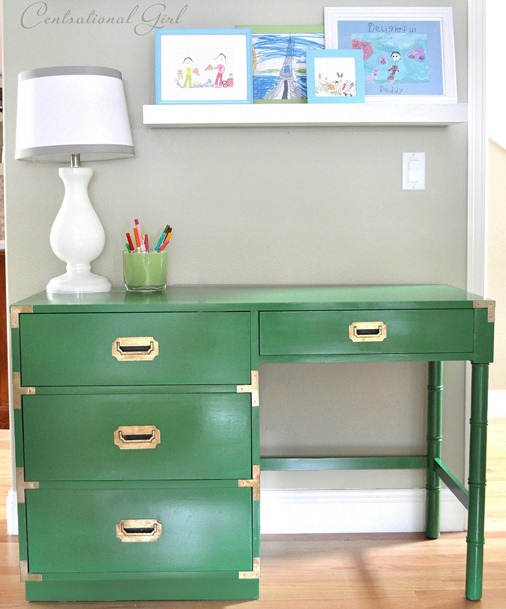 I’m not too crazy about emerald but do love other shades of green. Happy, happy New year to you and yours. 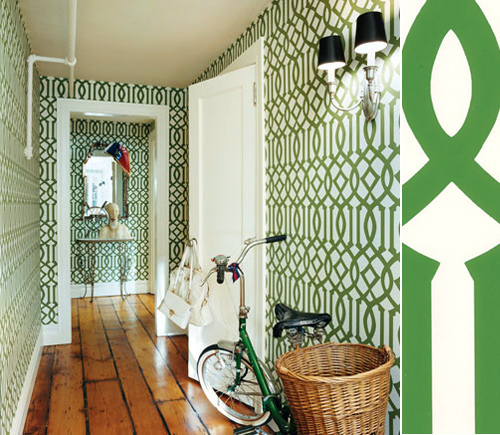 That hallway is a lot of pattern going on – I understand! Isn’t the wall of mirrors so cool? 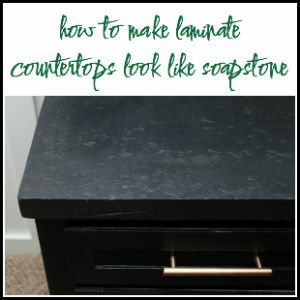 If you haven’t checked out her blog, before you must! She is amazing!! Happy new year to you and yours as well! 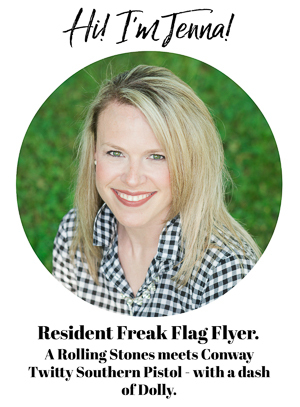 Love this round-up girl! 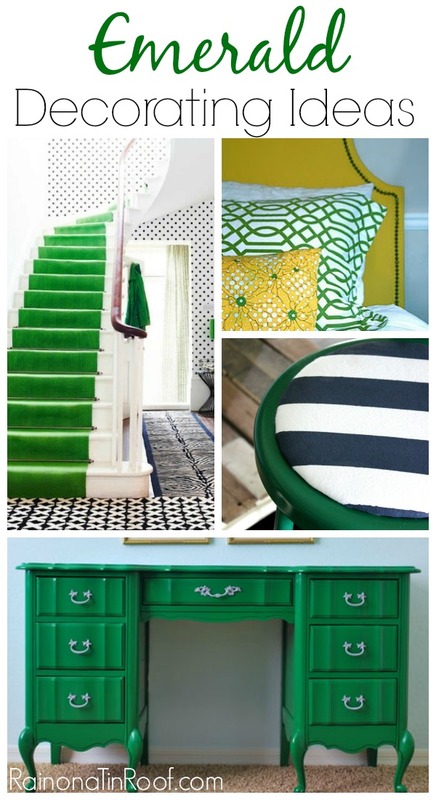 Love the green and I don’t know what I’m going to do with the new Pantone color either..eek! Yea, I know, right?! I am not an orchid girl! Me too! Happy new year to you as well! Fun round up, will miss seeing this color around! Me too, Kristen! Loved it! I love the emerald pictures you posted. Emerald is so lovely. And orchid? I couldn’t remember the name until you posted it. I’d much rather dwell on emerald dreams…. Me too!! Love me some emerald – orchid, not so much! Hey now, orchid’s not so bad ;-P Although, it’s a little too pinkish of a purple for me… I prefer the eggplant shades. I bet eggplant and emerald would look pretty good together, right? I am drooling over those chairs, too! Wow! Oh, and if you can get an emerald velvet stair runner, I will drive to TN to watch you give your rendition of Scarlet. And I just might join in! Yes! I like the eggplant shades – not this kind they are showing though! 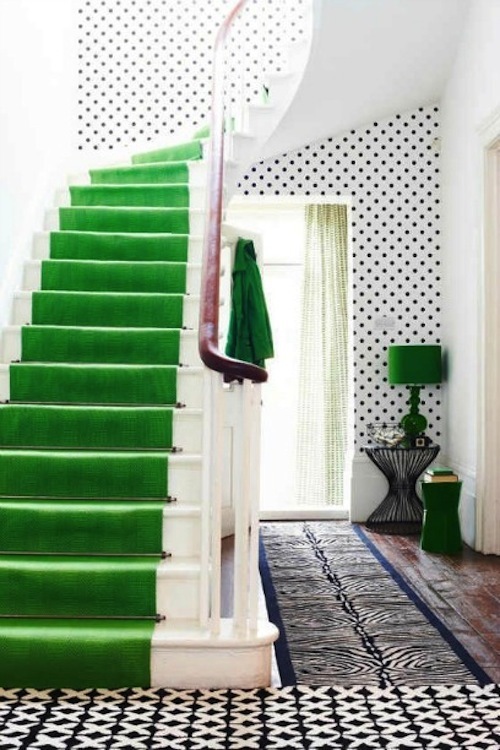 I SO want that emerald stair runner! SO bad! I would do a rendition daily. And charge for it! haha!